What kind of horrible deep sea monsters beneath the sea surface is swimming? The Twitter account of a Russian fisher named “Roman Fedortsov” shows use with his pictures the creepy ones. The fisherman photographed the creatures of the deep sea that went into his fisher net. Roman Fedortsov lives in Murmansk, the Russian port on the Norwegian Sea. He works on a large trawler and photographs the strange creatures caught in his net. Honestly, you’re almost shocked by what’s floating around in the depths. From eight-legged shellfish to fish that look like an eel, but whose mouth seems to consist only of teeth. Beginning of the year Fedortsov started to shooting pictures from the deep sea monsters. He is not only fishing in the Norwegian Sea, but Fedortsovs trawler also goes to the Mediterranean to catch up more deep sea creatures. First, an article on Ruposters discovered the Fisherman’s collection, then the Moscow Times reported as well. Fish with ears). RT if like. 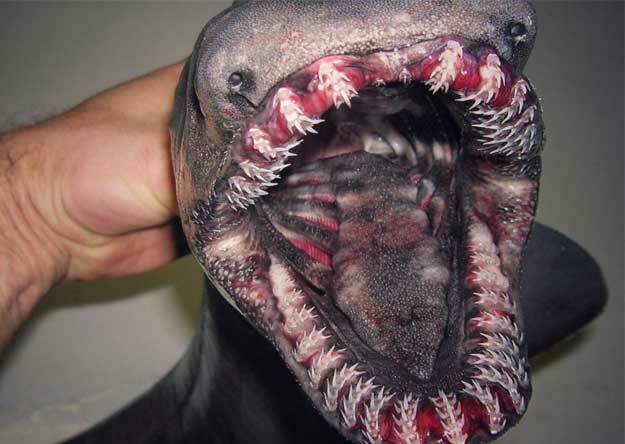 Please feel free to share this article about “Deep Sea Monsters”. Previous articleTurtle gets hurt – Zoo helps her with toys to get up!